Karen joins Pam Wood & me on the Golf, Grape & Grub Show this Saturday @ 11 AM(CT) on FB Live. We’ll also update you on the golf Majors & Cup events on the sked. Far reaching global wine knowledge is only part of Karen’s story. She is considered America’s foremost wine presenter–a speaker who can enchant audiences from 5 to 500, and from wine novices to wine collectors alike. And she’ll explain why she uses zestee metaphors and wine descriptors like “bed sheets” and “erogenous zones” to perk up your interest. The former wine correspondent for the Today Show, Karen was the host of the PBS series Wine, Food and Friends with Karen MacNeil, for which she won an Emmy. Karen is the creator and editor of WineSpeed, the leading digital “e-letter” in the U.S. for fast, authoritative information about wine. Her articles on wine and food have been published in more than 50 newspapers and magazines including The New York Times, Town & Country, Elle, and Worth. She was the first Food and Wine Editor of USA Today. Karen currently hosts #SipWithKaren, the leading Twitter tasting in the global wine sphere, which each month reaches 20+ million timelines from Indiana to India. Our Golf, Grape & Grub Show is all about pursuing the “G” passions. We’ve discovered some Gals who luv grape juice and most other FUN things that empower women. They run a bimonthly magazine called Bliss Babes, www.blissbabes.com. Debbie McCarthy & her Bliss Babe gals will join Mike and I from his winery TOMORROW @ Noon (PT) on FB Live. We’ll also update you on the upcoming American Century Celebrity Championship which will be next week at Edgewood Tahoe GC. Many great athletes and other celebrities compete in a modified Stableford format. Justin Timberlake & Steph Curry will draw the biggest crowds. Korbel Winery has many contests for the contestants. Toast Life Everday!! Last week’s US Open served as the unveiling of a new bambino in golf. 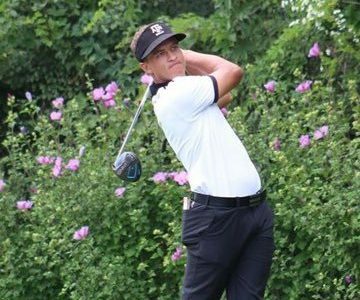 Cameron Champ who hales from Sacramento and has one more year left at Texas A&M, was the talk of our National Championship. He bombed drives by all the longest of touring pros. He also made the cut and finished second as low AM. Gig Em!! Cameron had a great week as he celebrated his 22nd birthday with family and friends at Erin Hills. He played practice rounds with Rory McElroy and Louis Oosthuizen and blew it by them off the tee. Cameron’s ball speed is nearly 200 mph and is 10 mph faster than the longest driver on tour. The average on tour is 168 mph. Ball speed is more important than swing speed because it measures the smash factor that occurs when you hit it on the sweet spot. For every 1 mph extra it translates to 2 yards more per mph. That math’s out to 20 yards longer than the longest and 60 yards longer than the PGA Tour average according to Trackman. Pam Wood & myself tee it up with Cameron and his dad Jeff @ 11 AM(CT) on FB Live. They will have just arrived in North Carolina for the prestigious 117th playing of the North & South Amateur Championship @ Pinehurst Resort. Cameron’s grandfather Mack got him started in golf at the age of 2 1/2 with plastic clubs. His sister Madison, who has autism keeps the whole family grounded, much like Jordan Spieth and his sister Ellie. Both Cam and Madison are proud of their development in The First Tee of Sacramento. Happy Father’s Day to All the Dad’s Out There!!! They’ve become synonymous- Father’s Day and the US Open. With all the great families in golf, the Golf, Grape & Grub Show loves the Father/Son stories. Particularly, the home grown ones like Cameron Champ and his dad Jeff. Cameron shot a 2 under 70 in the first round of the US Open with dad & family watching. The Champ family hails from Sacramento and Cameron plays for Texas A&M. Gig Em Cam!! Pam Wood & myself tee it up in our 19th hole this Saturday at 11 AM (CT) on FB Live. So glad were not teeing it up at Erin Hills with all that knee high fescue, er prairie grass. It’s a Gigantic course that will play over 7800 yards and could be stretched to over 8200 yards!!! After some complaints by the pros & some wet weather, they harvested some hay. Actually, the best players wanted it there because the fairways are wide–a US Open anomaly. First round scores are the lowest ever. 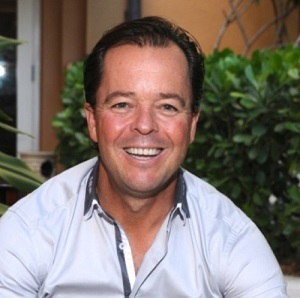 Since it is Father’s Day on Sunday we thought it would be FUN to catch up with globetrotting Wayne Player, son of Hall of Famer Gary Player. Wayne is just returning from a trip to his home country of South Africa and Pebble Beach. Want to go on a great trip, go to wayneplayerenterprises.com. His fave place is Pebble Beach, so we have something in common. He does lots of sit ups like dad and I do curls with a wine glass. Please check out our newly renovated website listed below with “live” feeds to our Tweets. Birdies are always good!! No one won more US Opens than Ben Hogan. The Hawk as he was known, won four, which ties him with Jack Nicklaus, Bobby Jones and Willie Anderson. He was also known to be very callous and private. We’ve now learned he was quite compassionate and had a keen sense of humor from author Tim Scott, who joined us a few weeks ago. We didn’t get a chance to hear all the wonderful stories from him, so we’ve invited him back to the Golf, Grape & Grub Show. We are also joined by Marty Leonard, the daughter of the man who first sponsored Hogan and developed Colonial CC and Shady Oaks CC in Fort Worth. Pam Wood & myself tee it up from our 19th hole at 11 AM (CT) on FB Live. Marvin Leonard developed it with his brother and his daughter caught the genes for golf and the outdoors. Marty’s accomplishments are many in golf, nature and charity. She built and owns Leonard Golf Links, the Nike Research Center and has served on the boards of both Colonial & Shady Oaks. 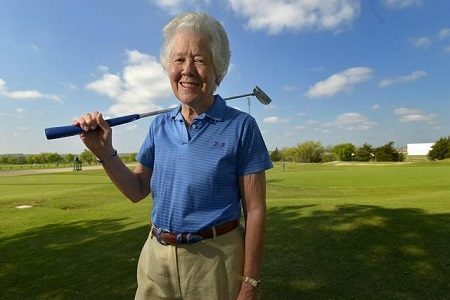 She’s in the Texas Golf HOF, won the North Texas PGA Byron Nelson Award and served as the Chair of the USGA’s Women’s Advisory Committee. She literally is one of the Great Women of Texas. Copyright © 2019 Golf, Grape and Grub. Powered by WordPress. Theme: Accelerate by ThemeGrill.